100% natural organic fertilizer. Supports plant growth, nourishes and strenghtens plants. Makes plants resistant to diseases and unfavorable weather conditions. Increases the quantity and quality of harvests. Recommended in conditions that hinder growth: after frosts, droughts, when plants are damaged with chemicals. The algae cultures present in BioAlga deliver micro- and macronutrients, vitamins and proteins stored in their cells directly to the roots and leaves of plants. Thanks to the specificity of algae structure, 100% of the product is absorbed by plants. 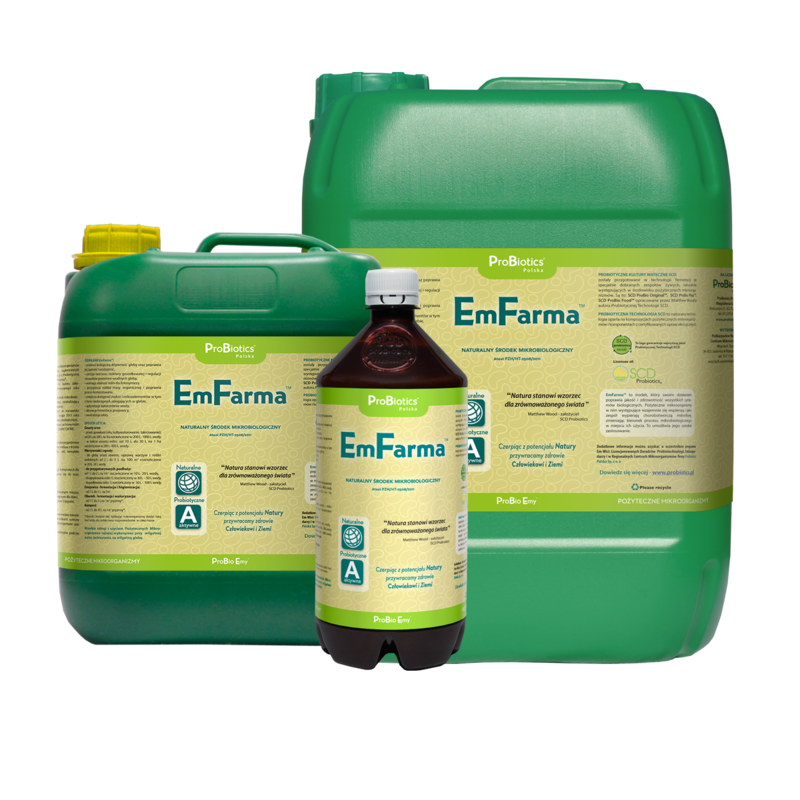 BioAlga purifies the soil of heavy metals and nitrates, improves soil fertility and strenghtens the development of soil microflora. BioAlga is a concentrated, natural, biologically active fertilizer – a suspension containing a high concentration of Chlorella Vulgaris live freshwater algae. During culturing, the algae are nourished in such a way as to ensure they contain the optimal amount of micro- and macronutrients for the development of plants. Thanks to the properties of the algae, nutrients contained in them are very easily absorbed by plants. Additionally, their rich cellular composition enables plants to absorb those nutrients they need most in a particular development phase.